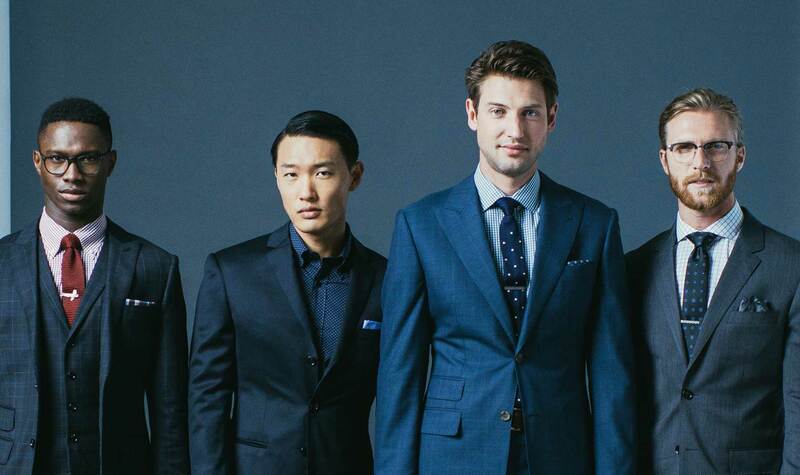 We might be biased, but the case for a made to measure suit seems like a bit of a no-brainer. The look and feel of a suit tailored to your personal measurements can’t be beat. But what about your shirts? Sleeves always a little too short? If the shoulders fit is the neck always too too tight? A couple of button-downs, a spread, and a cutaway, looking fresh. A made to measure shirt can be a revelation—not just because it fits so well, but there are a bunch of custom options you can choose from to make sure your shirt is just how you like it. 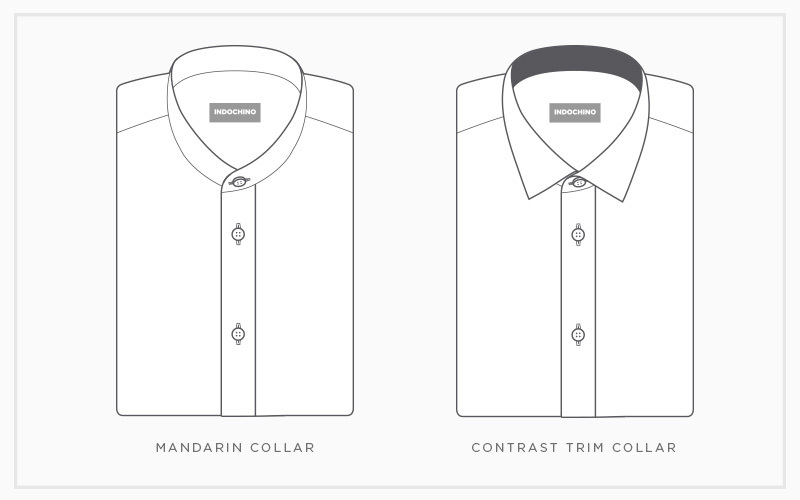 Welcome to Shirts 101, starting with the different types of collars and trims you can get. Small details like this can optimize your features, or turn up your look to 11, depending on your choice. 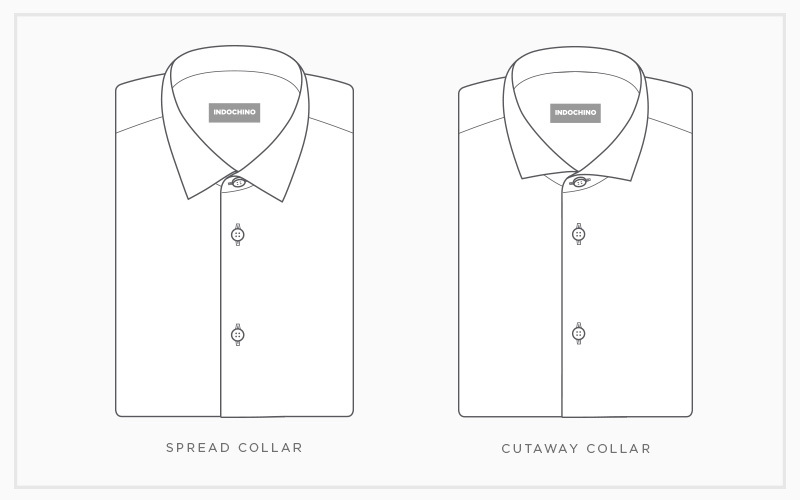 Here’s a breakdown of the different types of collars and why you might want one over the other. Generally associated with bespoke and made-to-measure shirts, these collars get their names for just that, the wide spread between their collar points. This classic style allows for any type of tie knot to be worn with it, though the Windsor knot is the most common. The wide spread collar is appropriate for both formal and casual occasions. If you have a diamond or square-shaped face, try a spread collar with a wide knot to soften your face’s angular edges. For men with oval or narrow faces, and slimmer or longer necks, the cutaway collar is the perfect option because it visually widens your features and brings balance to your overall appearance. This popular style features a very wide spread and works with any look or type of shirt fabric. A contemporary variation of this collar is the extreme cutaway collar, which carries a curved front with the points angled as far back as possible. As this particular collar emphasizes the width of a neck, it’s best paired with a wider tie knot. 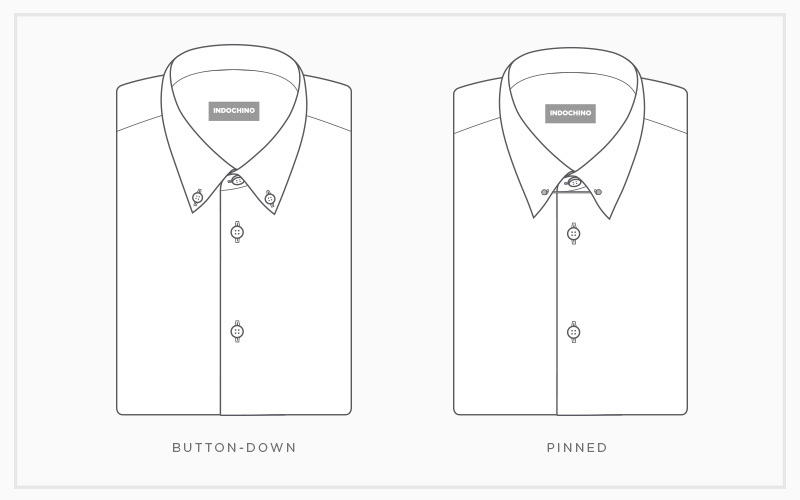 The button-down collar is a classic style, and got its name because (can you guess?) it has buttons on the points of the collar. This makes the collar lie flat. It’s usually seen as more of a sportier, casual look, so we recommend wearing it without a tie to highlight the use of buttons. 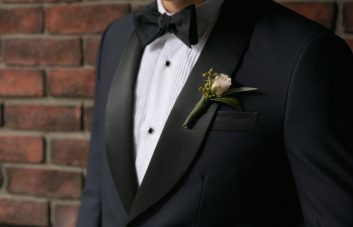 What’s more, avoid the button-down collar for weddings, funerals and other formal events because it just isn’t appropriate for those occasions. The pinned collar features two holes on either side that allow for a pin or bar to be inserted through the collar behind the tie, pushing the tie up and making it more prominent. Although some men may find it to be a fussy collar, it still makes for a great, stylish look. The mandarin is a short, unfolded, stand-up collar style. It starts right at the neckline and rises vertically for a few centimeters. This collar style originated in the Manchurian area of Imperial China and has since become a fashion-forward choice for dress shirts. Keep in mind that the mandarin collar can’t be worn with a tie. Contrast trim is a stylish option for dress shirts—you add a trim that’s a different color to the inside of the collar and cuffs of the shirt. You typically see this done on white shirts to disguise the yellowing that occurs around the collars and cuffs due to everyday wear. A dress shirt with a contrast trim is great for special events and days when you want to dress up a little. One more tip: wear a tie that’s a similar color or has the same color as the contrast trim to pull together your look.